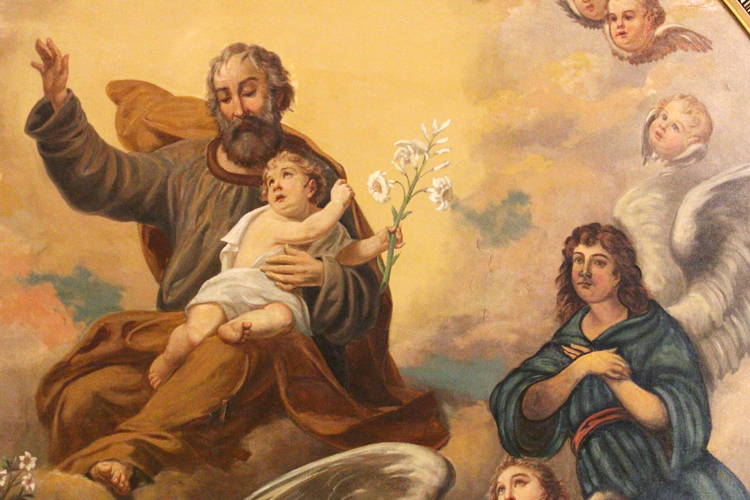 The detail of the 19th century painting, "The Angelic Exaltation of Saint Joseph into Heaven." For the first time, the Philadelphia Historical Commission has conferred historical certification on a piece of sacred art. 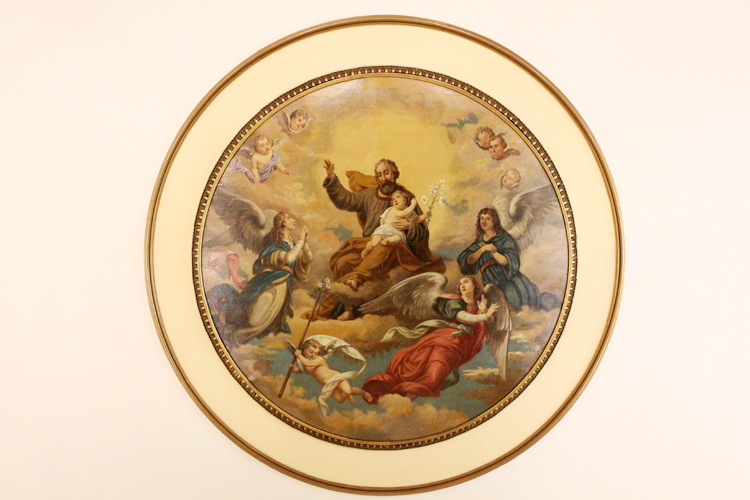 Old St. Joseph Church in the Old City section of Philadelphia, the oldest Catholic church in the city, displays the oil on canvas painting titled “The Angelic Exaltation of Saint Joseph into Heaven” on the ceiling in the church’s nave. The painting was executed in 1886 by artist Filippio Costaggini. Other paintings by the artist are displayed at Philadelphia parishes include the Cathedral Basilica of SS. Peter and Paul (center city Philadelphia), St. Agatha-St. James (University City), St. Malachy (North Philadelphia), St. Augustine (Old City), Nativity B.V.M. (Port Richmond) and St. Charles Borromeo (South Philadelphia). Since its founding in 1955, the commission has placed only two other art objects on its Philadelphia Register of Historic Places. Costaggini’s piece is the first sacred art listed on the register. 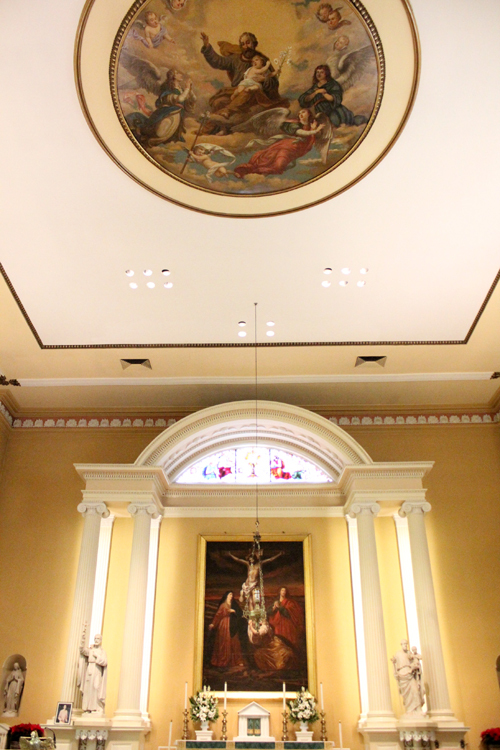 The interior of Old St. Joseph’s Church shows the round painting by Filippio Costaggini mounted on the church ceiling. 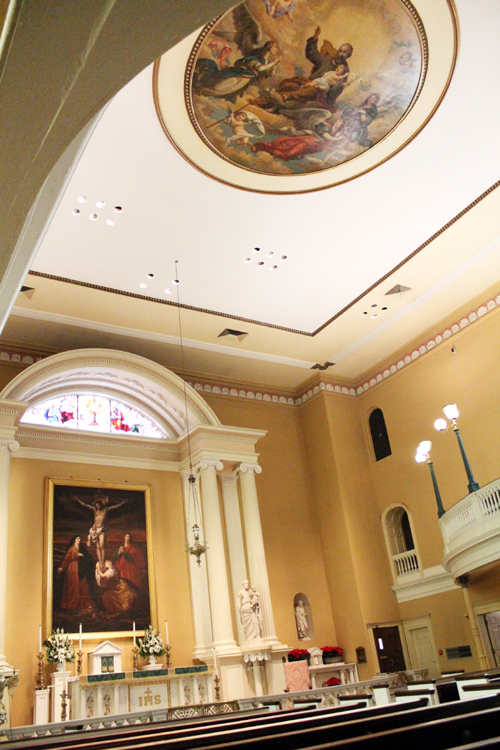 A view of the Old St. Joseph’s Church interior shows the sanctuary and ceiling.